Perth Demons captain Clint Jones. 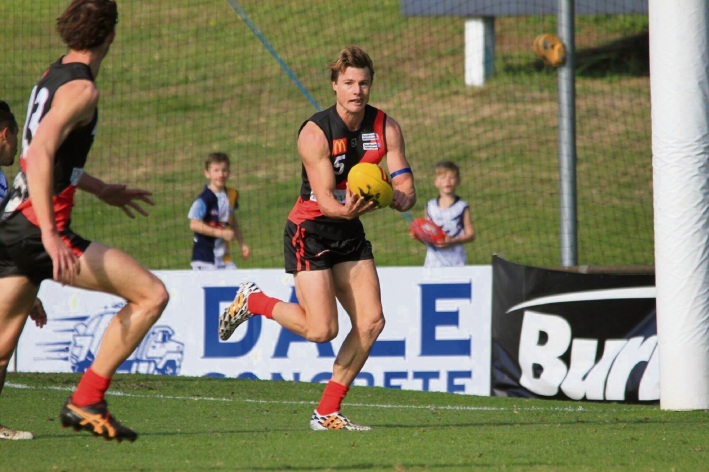 PERTH will look to turnaround its form when it takes on Swan Districts at home tomorrow. The Demons enter round 15 on the back of five straight losses, including a 110-point loss to South Fremantle last weekend. The Swans are in fourth place and beat East Perth by 24 points in round 14. All the action at Lathlain Park starts at 9am for the colts match while the Reserves will play at 11.30am and the league stars take the field at 2.15pm. PERTH Redbacks have a packed fixture list in round 16, with double headers tonight and tomorrow night at Belmont Oasis. All the action starts tonight when the Redbacks men and women take on Perry Lakes Hawks. The women’s team is coming off six straight losses and take the court from 6.30pm before the men’s team tips off at 8.30pm. The Redbacks back up at home to take on Cockburn Cougars, with the games gain taking place at 6.30pm and 8.30pm on Saturday.